Located in the heart of the Andes Mountains and only 39 Km away from Santiago. Colorado Farellones ski centre, In the Chilean Andes, which is reached about 1 hour G21 taking the paved road that leads mainly to Farellones. Located on the Cerro Colorado, with a maximum height of 3,333 mts. and a vertical drop of 903 meters., receives abundant snowfall and short with an average of 3.5 mts. of snowfall in an average year. Resort located in the Andes Mountains, located east of the city of Santiago. It has mechanized equipment maintenance and repair tracks twelve lifts of which two are for 4 people and 3, covering a distance of 9673 meters. 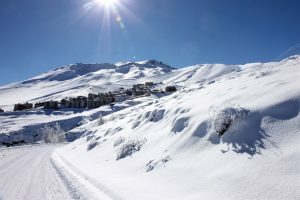 Farellones is a town and ski resort located 36 km from Santiago de Chile, nestled in the Andes mountains and close to other ski resorts like Valle Nevado, La Parva and El Colorado. Valle Nevado is a ski resort located 46 kilometers east of Santiago, Chile’s capital. 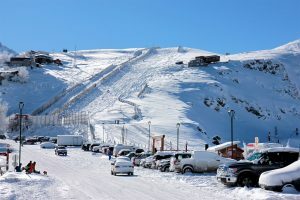 This ski area has one of the largest ski areas in South America and is considered one of the most modern in the continent. In recent years, courts have expanded and created a snow park and halfpipe to practice acrobatic skiing, freestyle skiing, ski jumping and snowboarding. 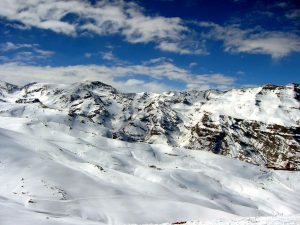 Since 2003, Valle Nevado is home to some of the dates of the World Cup snowboard. You can also practice heliskiing. Hotel Posada Farellones is only 20 minutes away from Valle Nevado. This new park is only 2000 mt from our Hotel Posada de Farellones. A toboggan sled track type, is the maximum entertainment for parents and children. A ski slope of 250mts long sloping 13 °, especially for those who live the experience of skiing for the first time. Ski lessons, rental and use of the track, are some of the attractive promotions Snow Park has for the family. 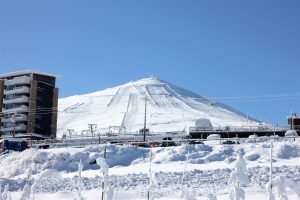 The longest in South America, with more than 200m, will be the easiest way to reach the summit of Snow Park then sledding, snowboarding or skiing. The first steps in skiing are very important, that is why we have a carousel, where children and therefore can not slide taken from the arms of this carousel and begin to experience skiing . Sandwich, drinks and fries will delight children and adults. 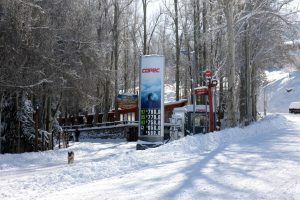 Here you can rent complete equipment and sleds to enjoy the canopy pistas.5 welcome children and adults. We offer: Gasoline, kerosene and Diesel.